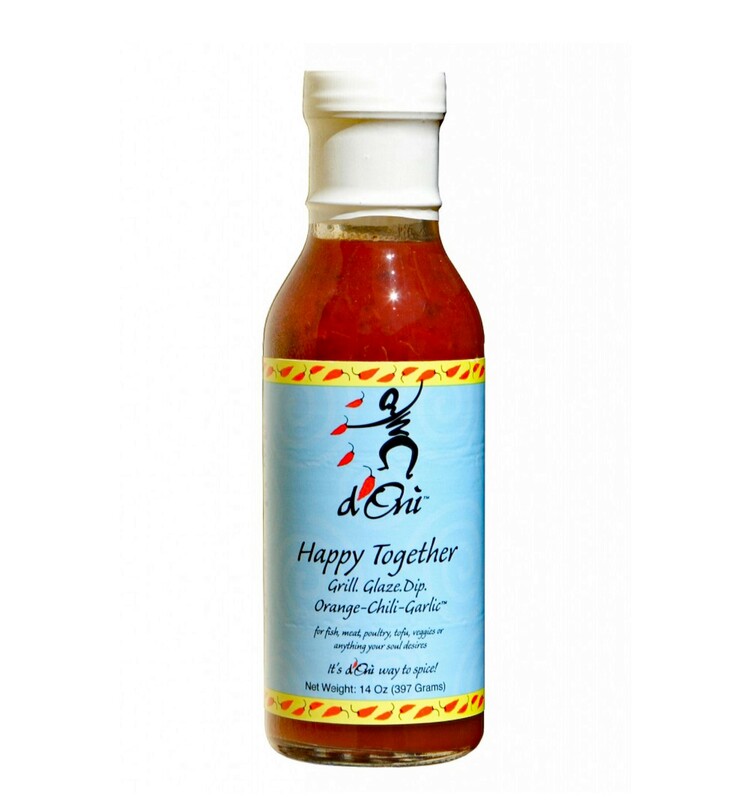 Happy Together Orange, Chili & Garlic Marinade balances the sweetness of madarin oranges with just the right amount of chili & garlic to create the ideal enhancement for foods that are grilled, glazed or dipped. Try Happy Together on ribs, steak, pork, poultry, fish tofu and veggies. Ingredients: Water, Sugar, White Distilled Vinegar, Peppers (Red Chili & Red Bell), Tomato Paste, Fruit Concentrates (Pear, Apple, Peach), Lemon Juice, Fruit Juice Concentrates (Orange, Tangerine), Pineapple Syrup, Ginger, Salt, Garlic, Xanthan Gum, Oranges, Natural Flavors, Natural Vitamin E (Protects Flavor), Peach Puree, Paprika, Citric Acid, Spices, Soybean Oil.